Are you a sore loser? Do you pout or act out when you don't win? Even if you don't show your frustration, it's important to do whatever it takes to keep a positive attitude in the face of a loss. If you do get upset when you lose, you need to lighten up and learn to turn your losses into opportunities to show what you're really made of. Whether you are an athlete, on the debate team, in a spelling bee, or in a dance contest, you need to find ways to lose with grace and dignity. After all, the real win isn't in the final score of the competition. It's more about your character. 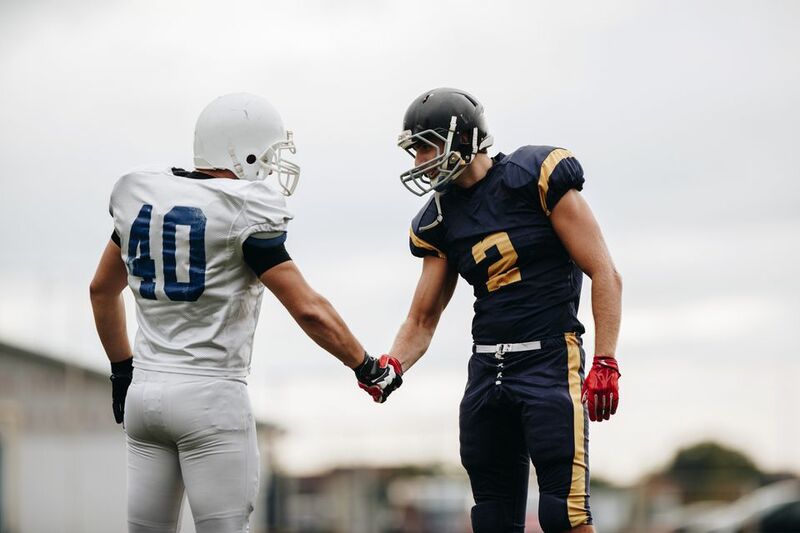 Even on the field or court, good manners matter. Competitive people need to remember that no one can win everything, and if there is only one winner, there will be losers. It's not easy, but it's a fact. And sometimes the loser who takes the loss well comes across looking like the winner. Don't have regrets. If you do everything in your power to win fairly, you should be able to walk away with the feeling that there was nothing else you could do. Remember that there's always another day. Before you engage in the same activity or game in the future, practice more and put yourself in a better position to win. Congratulate the winner. Doing this puts you on the same level as your opponent, and others will see you in a positive light. Acknowledging the other person with a smile and a handshake shows that you are a good sport. Doing otherwise makes you seem less significant. Celebrate with the winner. Celebration doesn't have to always be about you. Join in the festivities and use every opportunity you have to praise the person who came in first. Think about how you'd like others to treat you if you'd won and do that. It's always good to take the high road. Look for the benefits of losing. One of those is having room to improve. The winner will always have to defend his title, putting you in a more powerful position. Remember the fun you had in the competition. Look back at specific moments that you enjoyed, found funny, or saw as a learning experience. If you didn't have fun, maybe you should find something else to do with your time in the future. Learn from your loss. Ask yourself some questions, such as why you lost, what the winner did to come out ahead, and what can you do to be better next time. Avoid the urge to badmouth the winner. Resist the temptation to try to make yourself look better by trashing anyone else. It actually has the opposite effect. Saying negative things and gossiping about the winner makes you look petty and jealous. If you are upset about losing, be careful who you talk to. Only express your anger or sadness with people who know you and want what's best for you. Stay off of Twitter and Facebook with any grudges or snipes about the other person or team. Ask the winner for tips on how to improve. After the competition is over, talk to the winner and ask if she has any advice for you in the future. And then listen to what she has to say. She may point out some things that no one else has noticed because she was in the position of seeing your weaknesses. It's just as important to know how to win as it is to lose. When you come out on top, take the prize, or do better than others, there is nothing wrong with celebrating as long as you keep the feelings of others in mind. Be kind and polite to those who didn't do as well. Congratulate them on putting forth their best effort. Shake hands with your competitors if the opportunity presents itself. Show your gratitude to others who helped you win and thank them publicly. Show confidence but don't go on and on, bragging about how good you are.